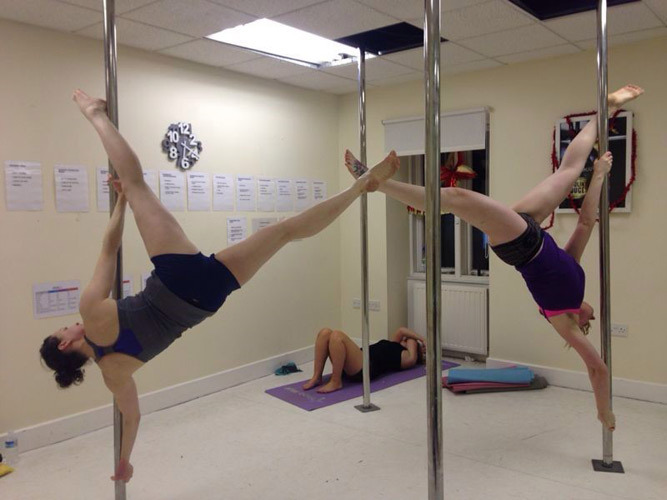 At the highest level we incorporate double and professional moves sometimes using 2 girls on the pole. Double moves are great fun and can look amazing, but also require a high level of skill, and trust in your partner. Once you get to this level you are perfecting everything you have already learned, mastering our professional level of moves, while having amazing fun trying moves together and putting together combinations.